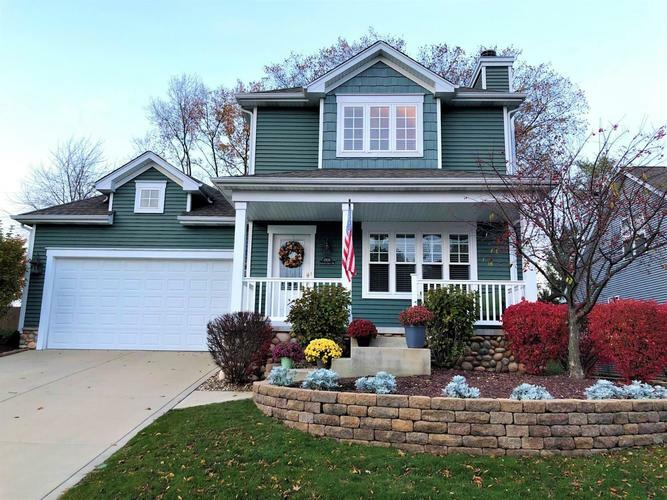 Enjoy the comforts of home within this 3 Bedroom, 4 Bath, 2 Story Craftsman Home with finished daylight basement. Immaculately maintained, it's ready to move in! The modern decor palette with whites and grays accent the vibrant natural wood work throughout. Plenty of room to entertain in the finished Daylight Basement with bath, Full Bar, Family Room & Ambient 2nd Fireplace. Master with en-suite features tiled bath, double vanity, & spacious walk-in closet. Backyard has natural landscaped privacy for enjoyable times spent outdoors. Main floor living is open & airy featuring eye catching fireplace with built-ins. Kitchen offers ample prep space, granite counters, lots of cabinetry, stainless appliances, island & breakfast bar. Convenient main floor laundry just off the kitchen. This maintenance free, single family home has curb appeal, character & all the bells and whistles to fit your lifestyle. Why delay, schedule today! Directions:Calumet Ave to Edgewater Beach Rd to Coryana Dr, which turns into Briam Dr. Right onto Garland Cirlce Dr.